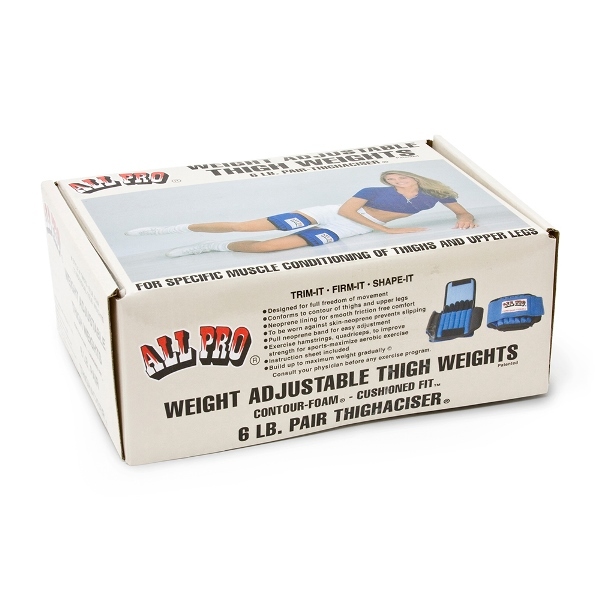 Manufacturer: All Pro Exercise Products, Inc.
All-Pro Weight Adjustable Thigh Weights include a pair of cuff weights designed for strengthening the hips, thighs, hamstrings and quadriceps. 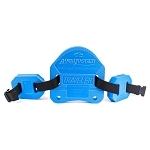 These adapted thigh weights are fully adjustable and padded for comfort. 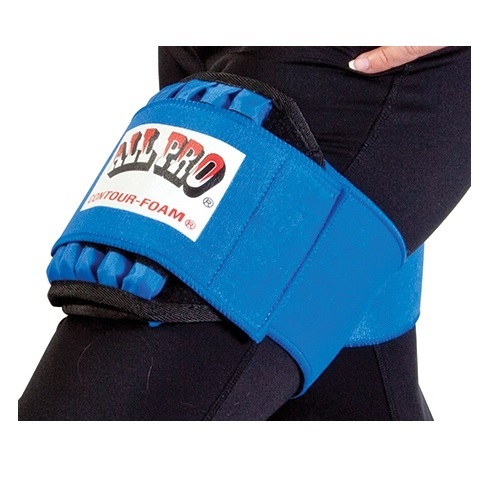 The All-Pro Weight Adjustable Thigh Weights are designed with neoprene lining and cushioned flaps that prevent slipping and protect the thigh area from irritation. 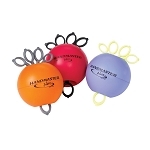 This 6 pound pair of weights can be adjusted to weigh up to 3 pounds per thigh in 0.5 pound increments. 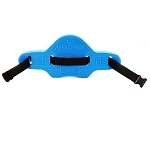 The 0.5 pound metal bar weights can be inserted or removed to adjust the weight up to 3 pounds for each leg. 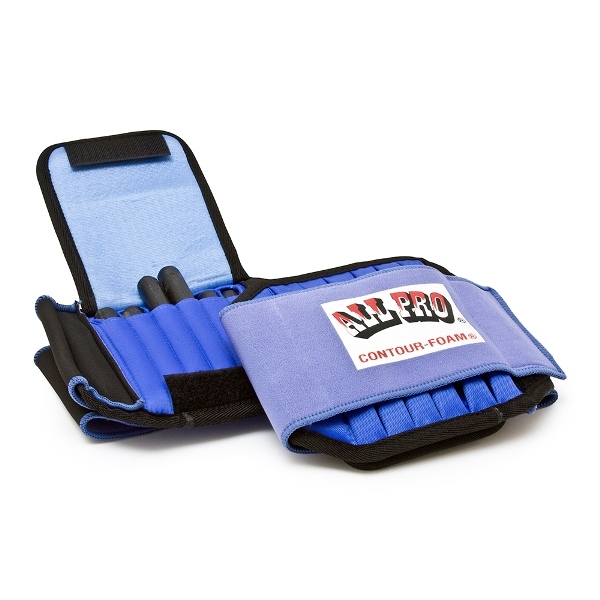 The contoured foam cushions the weight for a comfortable fit against the thighs, quads and hamstrings. 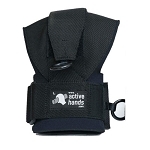 The easy touch fastener closure secures the weights in the sleeve. 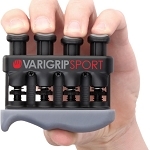 Users will find these adapted cuff weights helpful for developing strength, endurance, and toning for hamstrings and quadriceps. 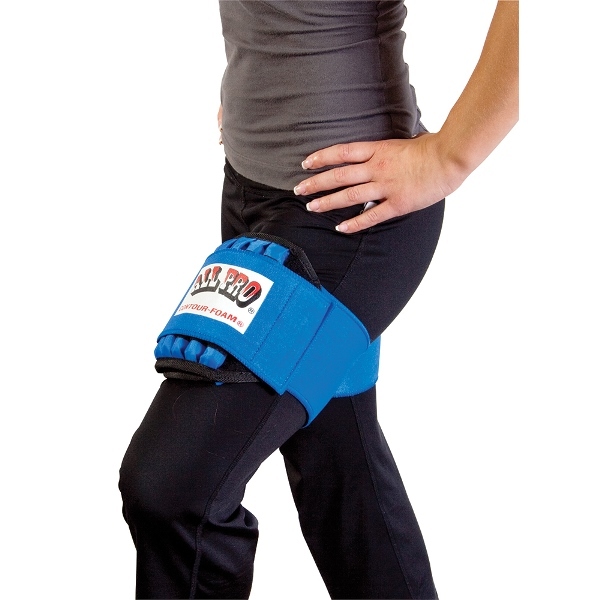 The All-Pro Weight Adjustable Thigh Weights are ideal for doing floor exercises to add more weight to the thigh area. 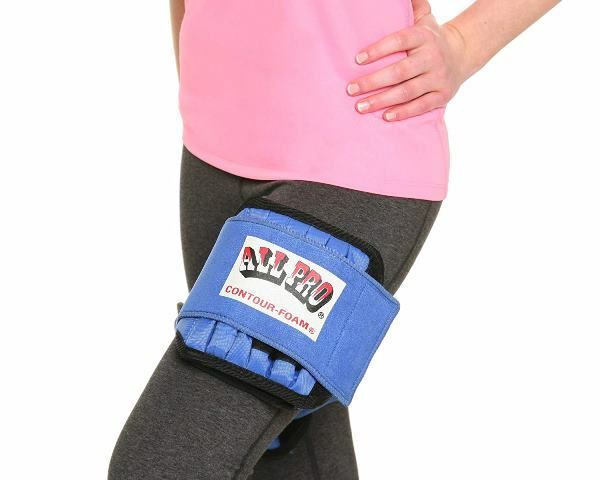 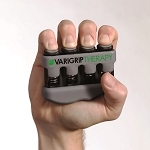 Includes: Pair of thigh weights with 12 weighted bar inserts, each insert weighs 0.5 pound. 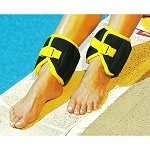 Maximum weight: 3 pounds per leg. 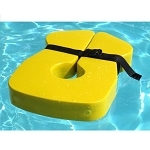 Care: Wipe soiled areas with a damp sponge and mild soap.